Her Eminence Mindrolling Jetsün Khandro Rinpoche was born as the eldest daughter of Kyabje Mindrolling Trichen Gyurme Künzang Wangyal, the 11th throne holder of the renowned Mindrolling lineage, one of the six main Nyingma lineages of Tibetan Buddhism. Throughout its history, some of the greatest masters of their time have been born within the Mindrolling lineage including the unique lineage of female masters known as the Jetsünma line, a remarkable Mindrolling tradition. Mindrolling Jetsün Khandro Rinpoche was recognized by His Holiness the 16th Gyalwang Karmapa as the reincarnation of the great Dakini of Tsurphu, Khandro Orgyen Tsomo, the consort of the 15th Karmapa (1871–1922), and a respected and revered female master who spent most of her life in retreat. Thus, Jetsün Khandro Rinpoche, as a Jetsünma within the Mindrolling lineage and a tulku within the Kagyu lineage holds both the Nyingma and Kagyu lineages. Jetsün Khandro Rinpoche began receiving teachings and transmissions from a very young age from some of the most revered Tibetan masters, such as Kyabje Mindrolling Trichen, Kyabje Dilgo Khyentse Rinpoche, Kyabje Trulshig Rinpoche, Kyabje Taklung Tsetrul Rinpoche, Kyabje Tulku Ugyen Rinpoche and Kyabje Tenga Rinpoche. 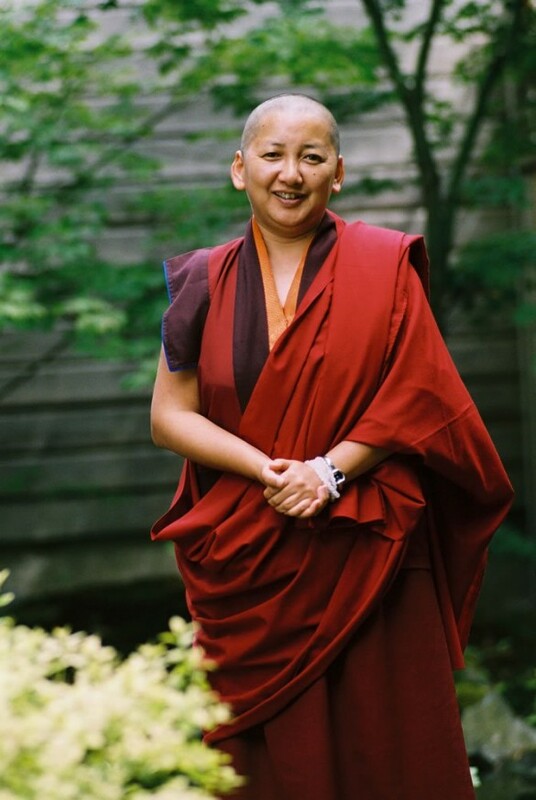 Mindrolling Jetsün Khandro Rinpoche speaks fluent English, Standard Tibetan, and Hindi and has completed a Western education at St. Joseph’s Convent, Wynberg Allen, and St. Mary’s Convent, both in India. She has taught in Europe, North America and Southeast Asia since 1987. She has established and heads the Samten Tse Retreat Center in Mussoorie, India, and also Mindrolling Lotus Garden Retreat Center in Virginia, USA. She is also actively involved with the administration of the Mindrolling Monastery in Dehradun, India. Additionally, she is interested in interfaith dialogue and currently sits on the Board of World Religious Leaders for the Elijah Interfaith Institute. [The above brief biographical sketch is excerpted from http://www.khandrorinpoche.org and https://en.wikipedia.org/wiki/Khandro_Rinpoche. Khandro Rinpoche is one of the main advisors for KCCL.